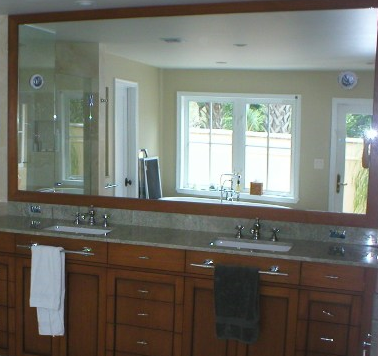 Any size mirrors cut size, including full length mirrors. 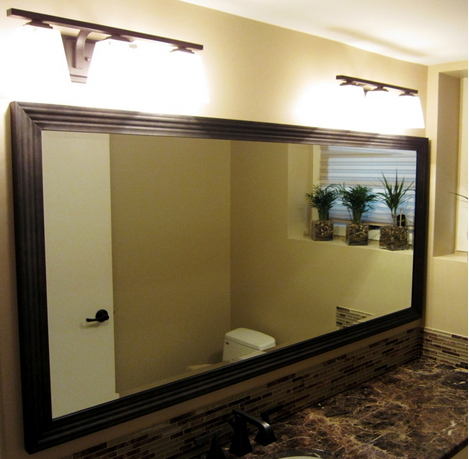 Mirrors can make almost any space appear brighter and more spacious. 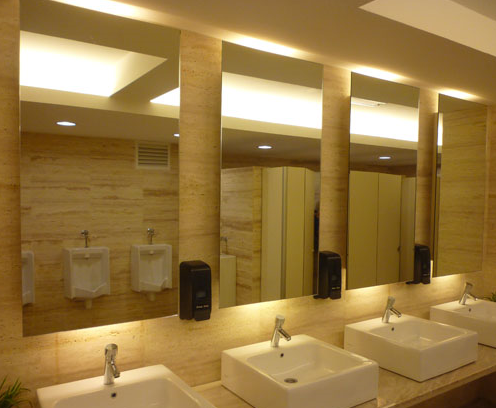 Our beautiful mirrors are customized to meet your specific needs with a full range of sizes and styles to suit your taste, At our factory in Derry city APG has processing machinery to supply straight and curved bevels. 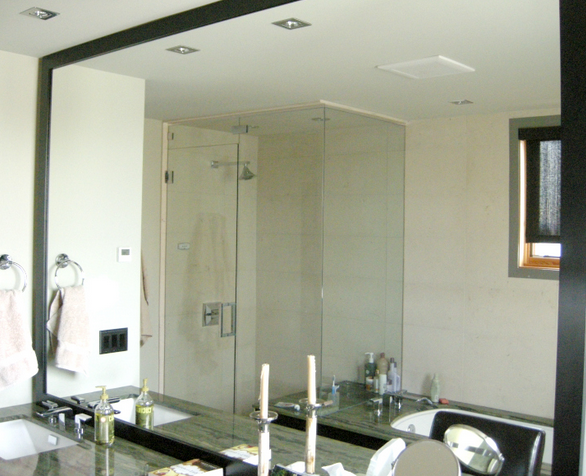 Renovating your bathroom and need a new mirror fitting? Refitting your gym, dance studio or leisure centre? 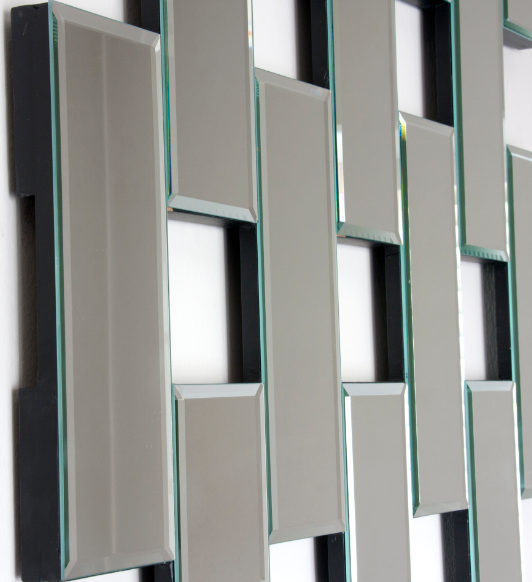 Want to create a stylish, elegant look for your lobby or entranceway? 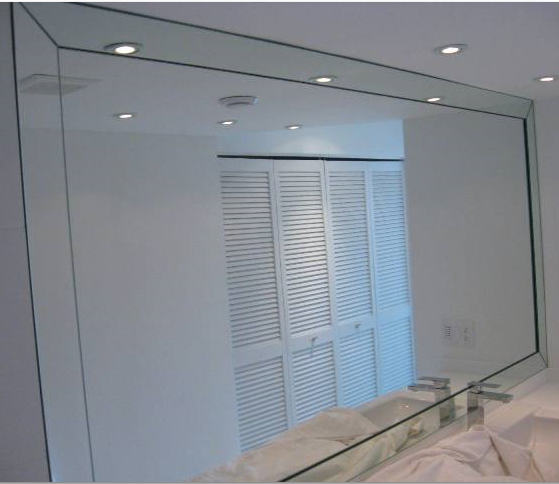 We’ve got mirrors to suit any need, cut to size and shape and carefully installed for you. 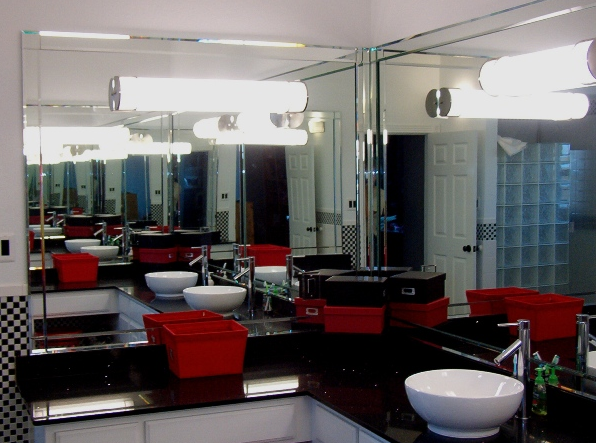 Mirrors can be fitted or secured by adhesive or we can drill holes and supply chrome dome head screw. 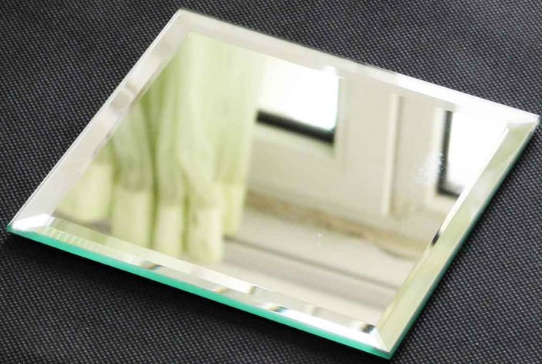 If desired, our mirrors have the option of an applied safety backing. 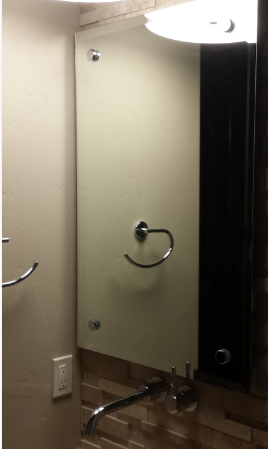 The mirrors are perfect for the home, gyms, shops, bars and restaurants. Corporate Logo’s can be sand blasted or painted on, making your or work place reception look stunning. 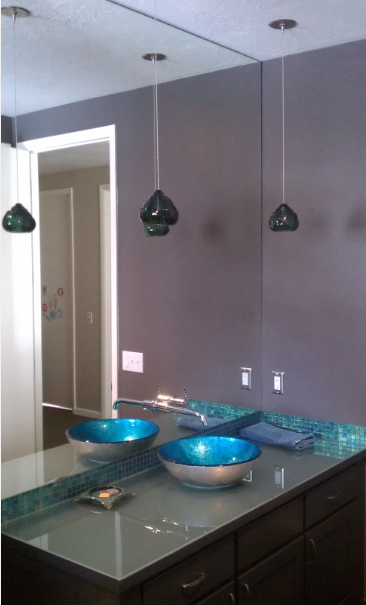 Painting can also achieve frameless boarders and other eye catching, contemporary effects. As part of our services to client based throughout Ireland, we are able to fit the piece to your home or business if you if require. Supply only or supply & fit.